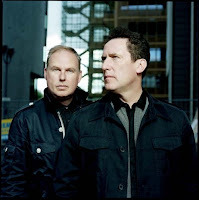 Orchestral Manoeuvres in the Dark (OMD) have recently released the video to their next single History of Modern (Part I), which was directed and produced by Lapantafilm from Sweden. 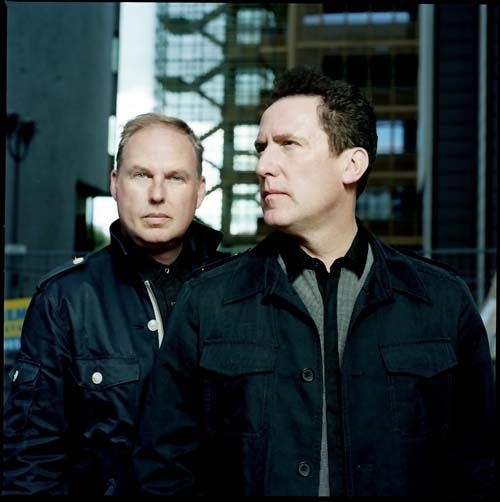 I have only one gripe, and that's the distinct lack of the band themselves (OK, there's a outline of Andy McCluskey's face, but that doesn't really count). This follows a disappointing trend whereby bands in their 50s (or those nearing 50) are either only making brief cameo appearances in their videos (OMD - If You Want It, Pet Shop Boys - Together, Depeche Mode - Wrong) or no appearance at all (The Human League - Night People). Yes, perhaps they do not look as youthful as many of the artists in the charts, or as fresh-faced as they did as 20 or 30 somethings in the 80s, but I think they owe it to their fans to come forth from behind the convenience of the video veneer and make their promos unmistakeably and undeniably theirs. What do you think? Rant aside, this a definite return to form for one of my all-time favourite bands, and I urge you to buy the the 12 track single on the 28th February (UK), which includes remixes, new mixes and all the b-sides from the release. Check out my collection of mashups and mixes here.